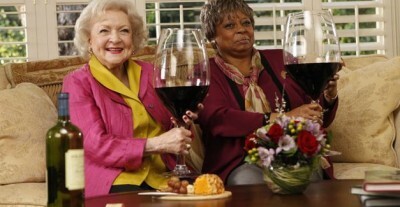 As previously announced, the second season of Betty White’s Off Their Rockers will debut on Tuesday, January 8th. In addition to the usual hijinks, guests will include Kim Kardashian, Howie Mandel, Nicole Richie, Steve O, Nick Lachey, NeNe Leakes, Ed Asner, Nick Cannon, Bob Harper, Adrienne Maloof, Camille Grammer, and Kyle Richards. UNIVERSAL CITY, Calif. – December 10, 2012 -Seven-time Emmy Award winner Betty White and her posse of senior pranksters are back for season two of NBC’s “Betty White’s Off Their Rockers” on Tuesday, January 8, with special guests Psy and Kim Kardashian appearing in comedy bits with Betty in two must-see, back-to-back episodes. Psy will guest star in the first episode at 8:00 p.m. ET, while Kim Kardashian will be the special guest in the 8:30 p.m. ET episode. Also joining America’s favorite comedy sweetheart to deliver big laughs this season will be special guests Howie Mandel, Nicole Richie, Steve O, Nick Lachey, NeNe Leakes, Ed Asner and Nick Cannon and Bob Harper, as well as “Real Housewives of Beverly Hills” Adrienne Maloof, Camille Grammer and Kyle Richards. White earned an Emmy nomination as Outstanding Host for a Reality or Reality-Competition Program in season one of the NBC series. 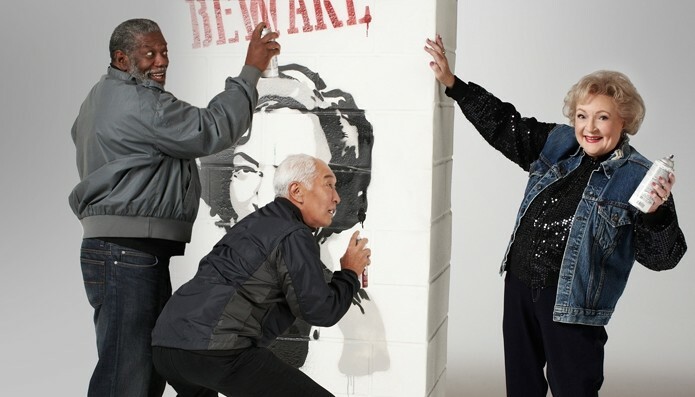 Now she’s back for more laughs, and her fearless band of senior citizens continue their mission to execute cleverly-crafted pranks, resulting in priceless reactions captured by hidden camera. This season, they’ll head to New York City, Los Angeles, San Francisco, Seattle and Washington, D.C. looking for younger, unsuspecting marks. In iconic locations ranging from New York City’s Central Park to San Francisco’s Fisherman’s Wharf to Washington, D.C.’s Capitol Hill and Georgetown, no one will be safe from their outrageously funny pranks. Turning 91 years old in January, 2013, White remains one of the busiest – and funniest – actresses in Hollywood, whose credits range from the classic “The Mary Tyler Moore Show” and “Golden Girls” to her current starring role on “Hot in Cleveland.” With a career that has spanned more than 60 years, White has created unforgettable roles in television and film, authored seven books and won numerous awards, including those for her lifelong work for animal welfare. 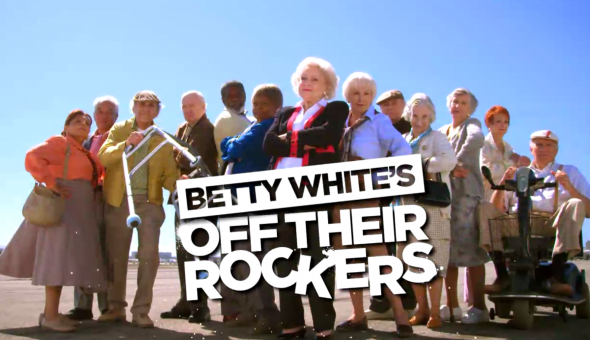 “Betty White’s Off Their Rockers” is adapted from the hit Belgium series “Benidorm Bastards.” The international version of the series has been sold to more than 20 countries and has received many awards worldwide. “Benidorm Bastards” won the 2011 International Emmy Award for Best Comedy Series, and swept the Rose d’Or Awards, winning the Best Comedy Award as well as the Golden Rose for Best Program of the entire competition. In addition, the show won Best Comedy Format at the 2010 FRAPA Format Awards. Chris Coelen, Emma Conway, Matilda Zoltowski, Betty White and Tim Van Aelst are the executive producers of the series, produced by Kinetic Content. What do you think? Do you plan on watching the season season of Off Their Rockers? 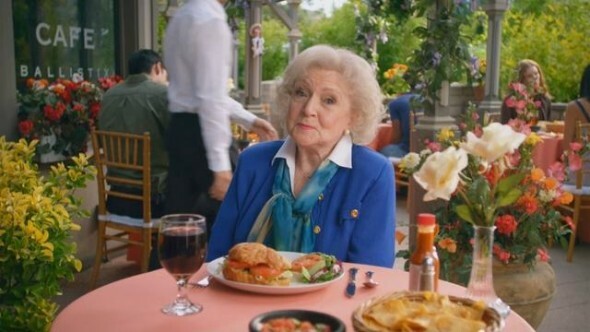 More about: Betty White's Off Their Rockers, Betty White's Off Their Rockers: canceled or renewed? I like Betty White, but this show is pretty lame. I couldn’t stand watching 10 minutes of it.